Relocating to a new house is stressful enough without having to worry about the logistics of an entire move. So when it comes to the heavy-lifting (literally), leave it to the professionals — professional movers, that is. Experienced Cranston, RI moving companies consist of expert movers and packers who can efficiently pack, move and assemble your Cranston belongings to ensure that you get off to a good start in your new home! At Marathon, we realize how important your relocation is to you. And with over 25,000 relocations completed, we have the experience, equipment, technology, and most importantly the personnel to deliver that relocation stress-free. 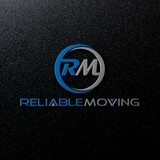 We have over 60 highly trained moving professionals ready to serve you. We have refined the moving process for moves of all sizes to be able to exceed our customer's expectations. To deliver exceptional quality to those moving out of state or out of the country, Marathon is an agent for Allied Van Lines. Allied Van lines are not only one of the largest moving networks in the world but also one of the most highly rated. Mastodon Moving LLC is a fully licensed and insured small business established in Wayland, MA. As our business has expanded, our warehouse is now located in Ashland, MA. We provide personal, high-quality customer service throughout the entire moving process. From your initial estimate onwards, you will be in the hands of a small team committed to making your move as easy as possible. Our experienced and friendly movers treat their profession with pride. They care about each customer and take all precautions to protect your home and belongings. Each item is securely packed and wrapped before loading it onto one of our two spacious and meticulously clean moving trucks. Whether you are moving across town or across the country, you can rest assured that all your belongings will make the journey safely! We will always make sure you are aware of your options regarding coverage, inventories, and storage. 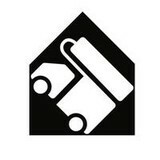 Mastodon Moving is fully insured, so in the event of an accident we will handle any dispute in a professional manner. HELPING PEOPLE SINCE 1979. Dedication and focus on providing high-quality moving and storage services, Mark’s Moving and Storage, Inc., continues to commit to offering a comprehensive business, cultured in extensive customer service, efficiency, and responsiveness. 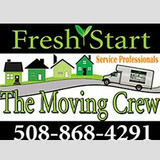 If you need movers Massachusetts, then Grunts Move Junk & Moving is the right solution for your upcoming move! With Grunts Move Junk & Moving you can be sure your move is in good and safe hands. Our moving company is dedicated to satisfying all your needs. First, you will get an accurate and free moving estimate. Then, our highly trained and dedicated team of movers will take care of your relocation from start to finish. 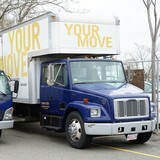 Our movers Massachusetts are more than capable of taking the stress away from your relocation. Contact us, and polite representatives in Grunts Move Junk & Moving will give the answers to all of your questions. 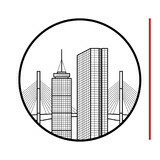 Bunker Hill Moving Company was established in Quincy, Massachusetts, by Marcos Santos. Growing up in his native country of Brazil, Marcos was raised in a large family and learned the responsibilities and dedication needed to operate a community-based business from his father, a successful businessman. By watching and spending time with his father, the most important lesson he learned was the need to be completely dedicated to each customer in order to grow a successful business. This learning, along with nine years enlisted in the Brazilian military, helped shape his work ethic, drive, and constant on-the-go positive attitude. After moving to the United States, Marcos spent more than 10 years working in the moving and transportation industry. As he learned the business and gained experience, he believed that there was an opportunity to better service the needs of the moving customer. Marcos is involved in all aspects of operating and running the company, and his work ethic, honesty, and overall positive attitude are conveyed at every point of the moving process. Nothing makes him prouder than when a customer tells him what a great job the team has done and how Bunker Hill Moving Company is now their mover of choice.